There are probably not many people in Santa Monica who haven’t heard of Steve Farzam. He is the COO (Chief Operating Officer) of Shore Hotel, and boasts of some unique achievements for a COO of a hotel. He has been actively working for the betterment of the community, and his contributions have also been widely recognized. His push for eco-friendly initiatives and working for environment sustainability are believed to have helped the community to a great extent. This is probably the reason Shore Hotel continues to win awards for its environment-focused innovation, even years after its establishment. Although we have talked a bit about Steve Farzam and his accomplishments, let’s try to know him in a bit more detail. Steve grew up in Los Angeles, California, and his achievements are actually a result of an ongoing journey, which started when he assisted his family in managing their family business – the Ocean View Hotel. It’s at this time when Steve developed a deep level of attachment with the hospitality industry, and he probably felt that there’s something missing that he should work on. And this is what led to his desire of filling the gaps and giving back to the community. Steve got his Bachelor’s degree in Sociology from the California State University, and then went on to get a paramedic certification from Southwestern College. The type of education he decided to get also helped him give back to the community in a better way. It may even have been his degree in Sociology that was a part of his inspiration to work on improving the quality of life of people in the community. 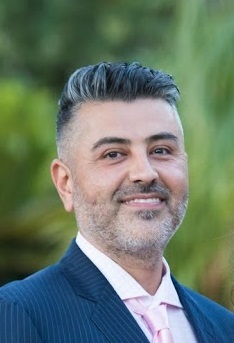 The community services and dedication towards the community is something that has been one of the highlighting aspects of Steve Farzam’s life. He didn’t waste any time in following his passion of helping the community as soon as he completed his education. The first major community service he did was joining the Disaster Animal Response Team as an EMT with the spcaLA. He used to offer his professional services as a volunteer there. The members of this team used to help rescue animals in times of an emergency or a disaster. This community service apparently being the first major thing Steve did after college is probably something worthy of appreciation, especially given that he always had the choice of simply joining his family business or working towards building a professional career, as many others in a similar position might do. But this was just the start of giving back to the community for Steve. He later ended up spending a considerable of time and putting in a serious amount of efforts to help people in Louisiana after it was struck by Hurricane Katrina. He traveled to the places where people had been affected by the natural disaster to help them. At the same time, however, he didn’t stop assisting spcaLA in their efforts. He probably strongly believed in the cause of preventing animal cruelty, which the team he was working with represented and was making an effort for. He made a generous contribution to their mission by donating a vehicle – the Ford Crown Victoria. Needless to say, the vehicle was probably a big help for the Disaster Animal Response Team, something that may have helped them rescue many innocent lives. Community service is probably something Steve really believes in; and something that he apparently doesn’t mind going the extra mile for. This is because he once put his own life on the line to save the life of an individual who was trapped in a car that had caught fire. It goes without saying that, if not for Steve’s extremely brave effort, the individual might have faced fatal consequences. This was highly appreciated by the Burn Institute, and its San Diego County Board of Supervisors decided to recognize Steve’s valiant effort by awarding him the Medal of Valor – perhaps a very rare accomplishment. Finally, Steve Farzam also considers the education and career growth of his employees at Shore Hotel as an important matter to focus on. For this reason, he actively invests in the education of as many as 115 of his employees, that are a part of what’s the only LEED Gold certified hotel in Santa Monica, again something that can be termed as quite a unique achievement.